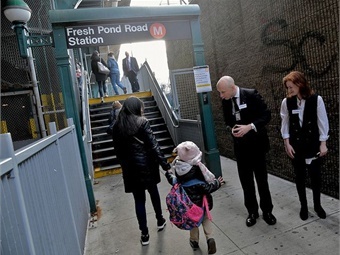 MTA New York City Transit President Andy Byford revealed a comprehensive plan to completely modernize every major aspect of the organization and its services, from subways to buses to accessibility to corporate culture. The plan, called “Fast Forward: The Plan to Modernize New York City Transit,” focuses on four major priorities: transforming the subway, reimagining the city’s public bus network, improving accessibility for all modes, and engaging and empowering NYC Transit’s workforce to deliver the best service possible. State-of-the-art signal and track infrastructure for optimum reliability, performance and safety. Within five years, the latest computerized signal and track infrastructure will be installed on five additional lines, so three million daily riders are on lines with Communications Based Train Control (CBTC). Within 10 years, these benefits will cover a total of 11 additional lines, benefiting five million daily riders. This work will also require the refurbishment, replacement, or upgrading of myriad supporting infrastructure and equipment, such as power systems, shops and yards, and cars. Accelerated work towards a fully accessible subway system. Within five years, more than 50 new stations will be made accessible, ensuring that all subway subway riders will not be more than two stops away from an accessible station. Within 10 years, this will expand to a total of more than 130 additional stations, with the balance of all possible stations completed by 2034. Elevator and escalator maintenance and repairs are also being enhanced. All this physical work will be coupled with equally important customer service enhancements, including new sensitivity training for all employees in the next year and better information about elevator and escalator outages and alternative routes. Shepherding these and other accessibility initiatives will be a new Accessibility Advisor reporting directly to the president of NYC Transit. Critical station repairs and improvements. Critical structural and functional repairs, maintenance, and improvements will be performed at more than 150 stations over the course of five years, and more than 300 stations within 10 years. Keeping these stations up to date is critically necessary for regular service delivery and customer safety. 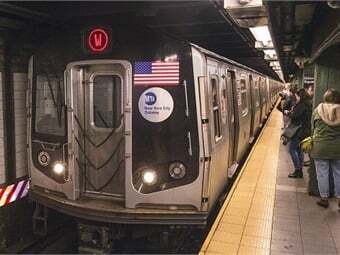 A state-of-the-art fleet of new subway cars and buses. Within five years, riders will be benefit from the reliability, performance, and safety advantages of more than 650 new subway cars, more than 1,200 refurbished cars, and 2,800 new buses including 200 electric buses, provided that there will be industry capacity to meet the demands of such a large-scale design and manufacturing initiative. Within 10 years, the plan calls for another 3,000 new subway cars and 2,100 new buses, including 1,600 electric buses. Byford has expressed a desire to achieve a fully electric bus fleet; NYC Transit will work with bus manufacturers, charging infrastructure manufacturers, power delivery utilities, and municipal officials to achieve this goal in New York City. A completely redesigned bus route network. As noted in the NYCT Bus Plan released last month, the entire route network for local and express buses in the five boroughs is being re-evaluated and redesigned based on ridership patterns, road operating conditions and input from customers, route neighbors, advocates, and others. The Fast Forward Plan calls for this work to be done within five years. A simpler, more reliable, more efficient paratransit experience. The Fast Forward Plan builds upon the work of the MTA Board Access-A-Ride Work Group by simplifying the application process, using modern technology like GPS to enhance ride scheduling and tracking, and working with NYC DOT to allow Access-A-Ride vehicles to use city bus lanes. Engage and empower employees. The Fast Forward Plan works to improve the employee experience — and, as a result, performance — by creating new programs for recognition and for dialogue with management, by streamlining bureaucratic processes, by improving opportunities for internal promotion, by better maintaining and improving employee facilities such as bathrooms and crew rooms, by working with labor unions to refresh the approach to discipline, and by working with NYPD and prosecutors to take a strong stand against assaults on employees. The Plan also establishes a formal agency-wide mentoring program and revamps training and skills development. There will also be increased focus on diversity in the workforce and diversity training, as well as increased facilities for women and non-gender-conforming individuals. Improving efficiency and reducing costs. The Fast Forward Plan embraces and builds upon the emerging recommendations from the MTA Board Work Group on Cost Containment and Procurement to ensure the efficient use of capital funding; overhaul processes for faster, more efficient project delivery; and better measure, track, and report publicly on performance. This includes clearer lines of accountability and strengthened project management to improve adherence to schedule and budget, improving the design process to reduce unnecessary change orders, simplifying the procurement process, and modernizing the supply chain. Embracing and increasing capacity for innovation. The Fast Forward Plan will support a new “innovation unit” that incubates new solutions to improve the customer experience and operational efficiency, improve the integration of new technology in operations, explore the increased use of public-private partnerships, and pursue and expand upon recommendations from the Genius Transit Challenge. Advancing environmental sustainability and resiliency. The Fast Forward Plan keeps up ongoing efforts to require environmental sustainability in new construction including using LEED-certified specifications and building upon an extensive asset recovery and recycling programs that divert 50,000 tons of waste from landfills annually. Resiliency equipment and planning efforts begun after the devastation of Superstorm Sandy continue and are making NYC Transit better prepared for major storm events than ever before in its history. Modernizing the approach to safety. NYCT is working closely with NYPD to support its expansion of a “neighborhood policing” model to the subway system, as well as to enhance enforcement against, assault, and other crimes in the transit system. NYCT is also going to establish a 24/7 confidential safety reporting hotline for employees to strengthen the safety culture. Enhanced security measures using the latest detection technologies and collaboration with law enforcement will continue to keep the transit system and its users safe. To track and report progress for stakeholders and the public, the Fast Forward Plan includes twice-yearly reports on the progress of its initiatives.